Most young singers dream night and day of nailing a major hit record. 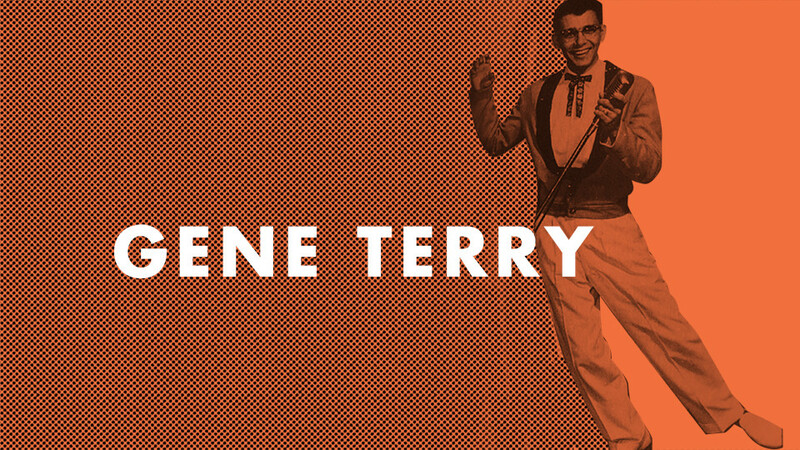 Not swamp-pop pioneer Gene Terry. Honing his stage presentation with his rocking band, the Down Beats, was his top priority during the late ‘50s. As far as Terry was concerned, his output for Eddie Shuler’s Lake Charles, La.-based Goldband Records, splendid though it was, came in second, as did the entire studio experience. Nonetheless, Gene’s Goldband singles are true classics of the south Louisiana swamp-pop movement. He’ll happily revisit some of them on the first night of the Ponderosa Stomp as co-headliner of an all-star swamp-pop revue along with his contemporaries Rod Bernard and Tommy McLain. They’ll all be backed by the Mama Mama Mamas, a bopping bayou band anchored by C.C. Adcock that’ll feature Steve Riley, Pat Breaux, and Dickie Landry. 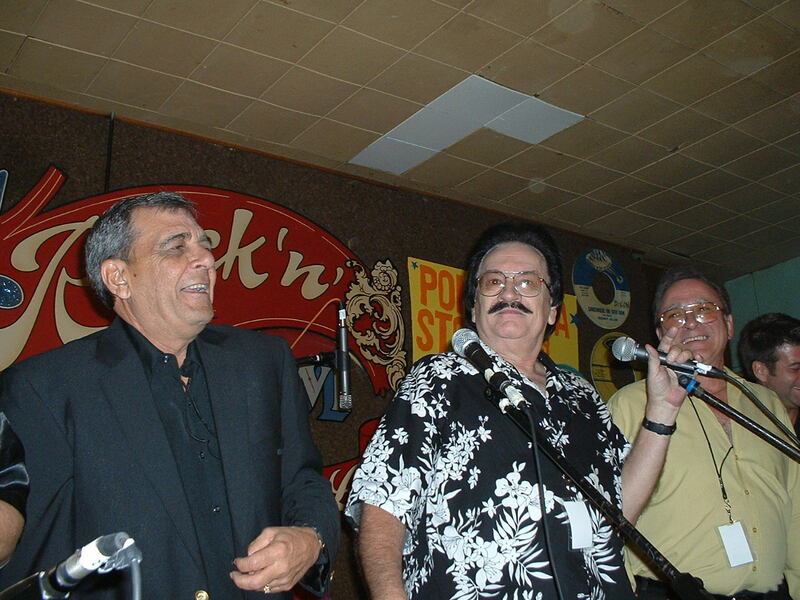 Gene Terry, Warren Storm, and Johnnie Allan, 2004 Stomp. Born Terry Gene DeRouen on Jan. 7, 1940, in Lafayette, La., Gene moved with his family to Port Arthur, Texas, when he was 2. That’s where he would grow up, though he spent part of each summer in Lake Charles with his grandparents. “We went to the ‘Louisiana Hayride’ in Shreveport one time,” says Terry. “My dad and mom, they loved music. Dad played guitar and things like that. We’re from a very musical family. My granddad, my dad’s dad, played fiddle, barn dances and stuff. So I always had an interest. We would go to a barn dance when I would go visit there (in Lake Charles) for two weeks every summer. You know, I liked to listen to it. My uncle (R.C. DeRouen) played in a French band. Port Arthur was then a swinging destination. “It was a hotbed,” says Terry. “It really was.” Jivin’ Gene, whose swamp-pop classic “Breaking Up Is Hard To Do” was a national hit on Mercury in 1959, hailed from there as well. “He’s a great guy. We graduated together, went to school together for 12 years,” says Terry. 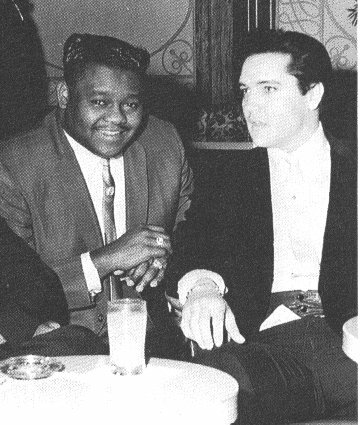 “We’re still really good friends.” Mercury star Johnny Preston, who paced the pop charts that same year with his Big Bopper-penned “Running Bear” and followed it up with more huge sellers (“Cradle Of Love,” “Feel So Fine”), was another Port Arthur native. “He graduated the year before Gene and I did,” notes Terry. 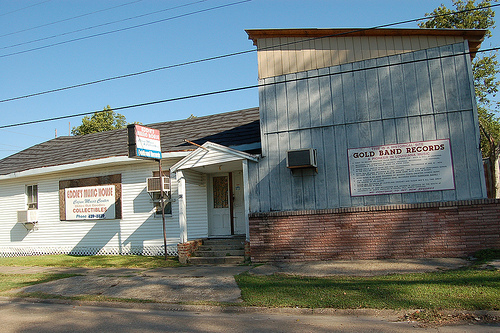 Goldband Studio, Lake Charles, La. The Down Beats were firing on all cylinders when Goldband Records boss Eddie Shuler caught their high-energy act at their regular haunt in Vinton, La. “He came and heard me at the Big Oaks nightclub one night,” says Terry. 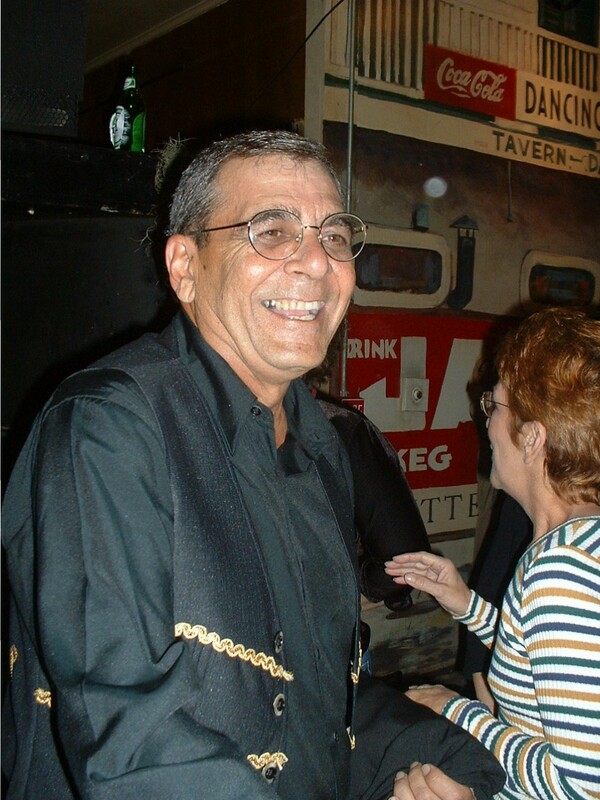 “I was doing ‘Cindy Lou,’ which was written by Cookie and the Cupcakes.” The infectious call-and-response rocker was penned and first waxed during the mid-‘50s by Lake Charles R&B singer/saxist Shelton Dunaway, when Huey “Cookie” Thierry’s Cupcakes, his backing band, was still billed as the Boogie Ramblers. Dunaway’s rendition just happened to have been released on Goldband, so Shuler knew the tune intimately. With lead guitarist Butch Menard and tenor saxist Doug Dean handling the solos and upright bassist Patrick “Pee Wee” Higginbotham laying down a supple bottom, Gene and his Down Beats sailed through “Cindy Lou,” which Shuler pressed up on Goldband in the spring of 1958. The B-side was the doo-wop-drenched ballad “Teardrops In My Eyes,” released a few months earlier on Don Robey’s Houston-based Back Beat logo by its composer Bill Bodaford and his group, the Rockets, as “Teardrops.” “I heard it on WLAC, Nashville, Tenn., coming back from a dance one night,” says Gene. The strong vocal group backing on Terry’s remake was unusual for swamp pop. Along the way, the Down Beats changed personnel. “There was this guy that not a lot of people remember, Frankie Lowery, and he had the Golden Rockets,” says Gene. “He played around, and he had a guitar player, a bass player, and a drummer. The guitar player and the bass player were Bill and Jack Hall. When I moved into Lake Charles, my guitar player quit. I let Pee Wee Higginbotham go, and hired Jack and Bill Hall. They stayed with me until I quit. Terry wrote “No Mail Today,” the rocking side of his Goldband encore. It hit Louisiana record shops just before the close of ’58; this time the Down Beats rated co-billing on the label. “We were rehearsing right outside of Lake Charles at my grandparents’ farm,” Gene says. “They had one of those big front porches. We had everything set up. We were rehearsing new songs and stuff, and I had to get a song to put on a record. And they had an old dirt road that ran in front of the house. “The mail guy would come — you know how they do, on the wrong side of the car, and they drop the mail in the mailbox. Well, the guy came down one time, we were all on the front porch playing, learning new stuff and all, and he slowed down to put the mail. And he slowed down, he got to the mailbox, and then he sped up. He didn’t have any mail today. So I said, ‘No mail today!’ I wrote that song in five minutes!” Jack Hall was by then the lead guitarist; Dean remained on sax. The iconic photo of a smiling Gene holding a mic while decked out in his snappiest stage attire was taken at saxist Dean’s home. “His mom and dad lived here in Nederland, Texas. And we started kind of getting popular. We wanted to take some pictures, so his mom and dad, they had put a backdrop at one of the rooms in their house,” says Terry. “They got a photographer and they said, ‘Let’s take a couple of pictures. We’ll put ‘em on a poster, and that’ll be our advertisement for people coming in to see us play or hear us play, and they’ll see this poster here.’ Three or four pictures on it, Gene Terry and the Down Beats. “My mom made all my costumes and stuff, changes, which I still have. Thirty-four changes, with the rhinestones and sequins and all that stuff. So we take the pictures. 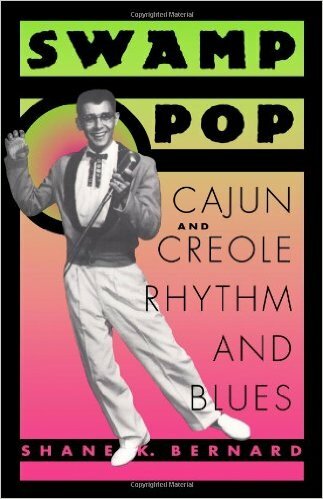 We got some mileage out of that thing.” Indeed he has — it’s the dazzling cover photo of Shane Bernard’s excellent 1996 book “Swamp Pop: Cajun and Creole Rhythm and Blues,” which contains an in-depth interview with Terry as well as many of his contemporaries. 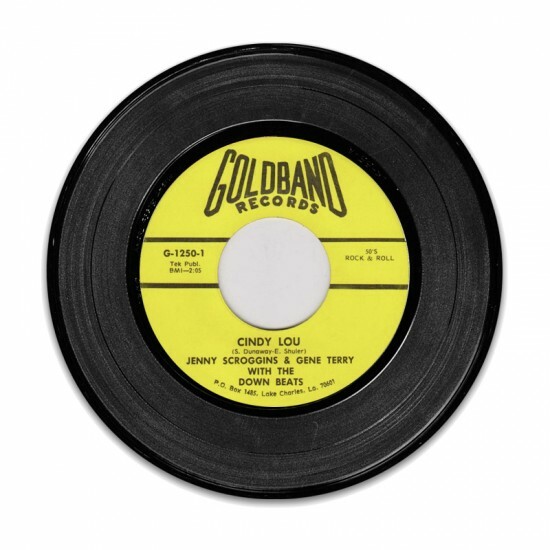 Instead of putting Terry’s “Fine – Fine” out on Goldband, Shuler set up a one-off deal in early 1959 with Herman Lubinsky’s Newark, N.J.-based Savoy Records to issue the self-penned rocker. It sported roaring saxes and a first stanza partly based on Big Joe Turner’s ‘53 smash “Honey Hush,” but Terry remembers little about it. Shuler probably intended “Fine – Fine” as little more than a convenient plattermate for a quickie cover of Rod Bernard’s fast-breaking swamp-pop smash “This Should Go On Forever” sung by one Ronnie Dee that adorned the other side of the Savoy 45. It billed “Fine – Fine” as by Gene Terry and his Down Beats, while “Forever” was by Ronnie Dee and the Down Beats. Terry has no idea who the mysterious Dee was. “That’s my band,” he says. “That’s the Down Beats without me. So I don’t know. Shuler, he was kind of like that. You know what I mean?” It’s unlikely that Dee’s soundalike cover did much to damage the surging momentum of Bernard’s national hit, itself a cover of Guitar Gable’s J.D. Miller-produced original, cut for Excello in Crowley, La., with the song’s writer, Bernard “King Karl” Jolivette, on vocals. Gene was back on Goldband in the summer of ‘59 for one last storming rocker. 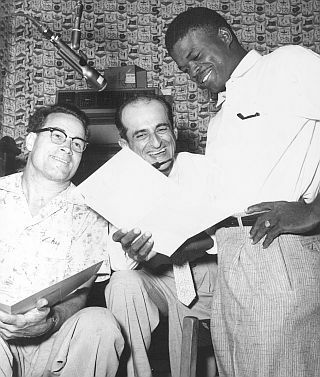 The authorship of “Cinderella Cinderella” is now credited to Shuler and Herman Lawrence, who waxed some late ‘50s rockabilly sizzlers for Goldband under the name of Larry Hart, including “I’m Just A Mender” (the original 45 credited Lawrence and William Willdridge as writers). Dean was back with another wailing sax solo; strong 88s work on the intro and outro was ostensibly the work of McKinley. Its lovely flip “Guy With A Million Dreams” came from Shuler and Willdridge. “So we went and ate, came back. And in the interim, Cookie’s band got there, and this guy talked to Cookie and they went and recorded. It was ‘Sea Of Love!’” Of course, the hopeful singer was Lake Charles resident Phil Phillips. “I could have had the guys on a million-selling record, and Cookie beat me to it!” laughs Gene. Despite his band’s regional popularity and super-tight horn-leavened attack, Terry’s recording career faded away after “Cinderella Cinderella.” “Me and Eddie Shuler kind of crossed paths and stuff. I didn’t want to record for him anymore,” he says. “He was a bad recording engineer. I wanted the J.D. Miller sound, (or) Jin Records. And Eddie Shuler could not give me that. I tried to get out of that contract, but I was hung up — so many records in so many years. By the time the contract was up, I wanted to come back to Texas and get a real job.” At the end of 1960, Terry’s reign as the Down Beats’ leader was history. More than a decade after Terry left Goldband, Shuler tried re-releasing his classic “Cindy Lou” with an overdubbed duet vocal by Jenny Scroggins, who had her own Goldband 45, “Cut Off Jeans,” at right around the same time. The results, as you might expect, were less than satisfying. “Somebody told me, ‘Who’s that girl singing?’” he says. “I said, ‘I don’t know what you’re talking about!’ They said, ‘Well, it’s out now, and there’s a girl singing on it!’ I said, ‘I don’t know.’” The extremely belated 45 unearthed a previously unheard late ‘50s Terry track, “What Can I Do I Still Love You,” as its B-side. “I kind of did it the way I wanted, and I guess they cut it one time,” he says of the song. “I don’t remember much about that. That was my winding-down days, you know what I mean? 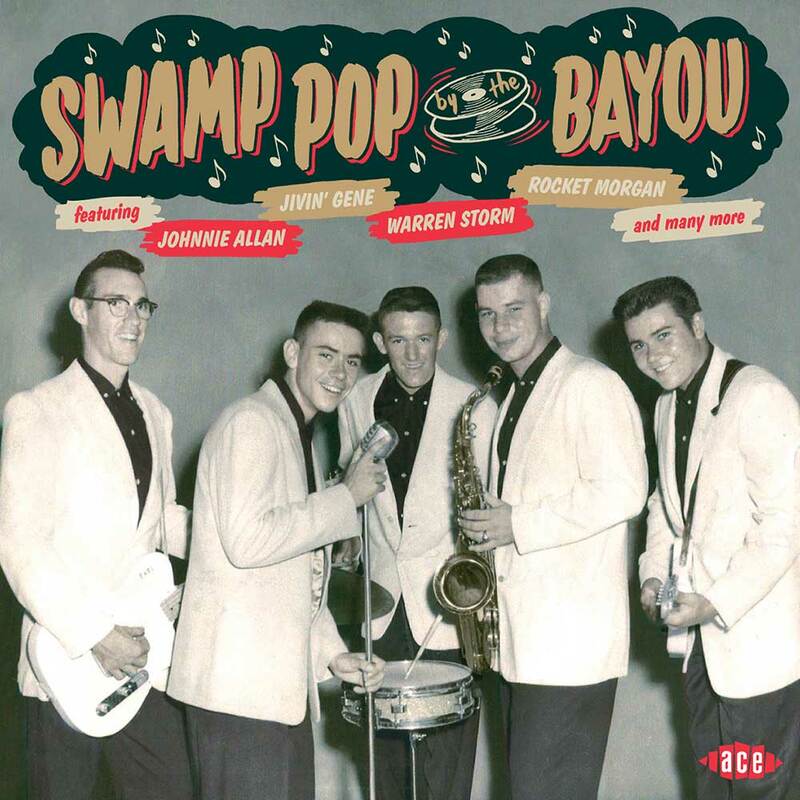 I was fixing to give it up.” An alternate take of the up-tempo charmer can be found on Ace’s invaluable “Swamp Pop By The Bayou” CD series, with no sign of Scroggins to be found. In 1969, Terry landed a job at the local Du Pont chemical plant. “In Lafayette, they keep that music going around there, Lake Charles, and other places,” he says. “I was in Texas, you know. Had to go to work, make a living, got two kids, you know, support your kids and try to live a good life, you know? I didn’t need to play music.” He’s been with Du Pont ever since. “I just got through with a job over there just recently,” he reports. 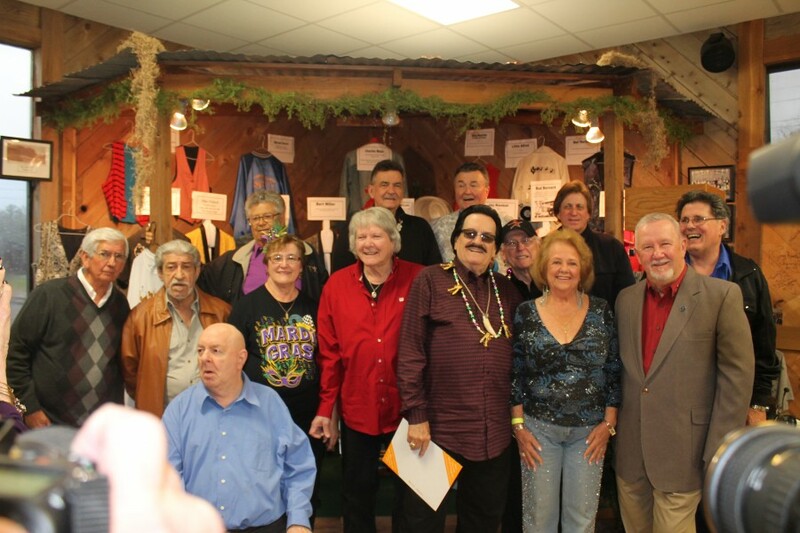 A recent reunion at Ville Platte’s Swamp Pop Museum, featuring a who’s who of the originators.